Welcome to District 12: MOCKINGJAY RELEASE DATES! Woah, already?! According to deadline, Lionsgate has announced release dates for Mockingjay Part 1 and Part 2, so I think it's safe to assume that Mockingjay will be split! 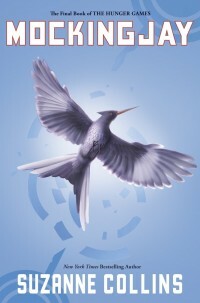 BREAKING … Lionsgate will release two films based on Mockingjay, the third book in Suzanne Collins’Hunger Games trilogy. The Hunger Games: Mockingjay Part 1 will bow worldwide November 21, 2014, followed by The Hunger Games: Mockingjay Part 2 on November 20th, 2015. The first sequel, Catching Fire, is coming out November 22, 2013. The original Hunger Games bowed March 23 and has grossed $404.4 million at the domestic box office and $678.2 million worldwide. Looks like from here on out we will be getting a Hunger Games film every year! Assuming Lionsgate will confirm this soon, that is. If you want to see our series about how Lionsgate should go about splitting Mockingjay, check out our series, Mockingjay Mockup!